Over 150,000 companies use Salesforce every day, one of the most popular CRMs on the market. Why? Because it allows them to treat each customer like the most important customer they have by solving their problems, understanding their needs, and identifying how to help them. With CRMs, you can do all of this on one single platform that you can access from any location at any time. As technology evolves, businesses are changing too. Because of this, client bases have become large and complex. This means that companies need to be able to interact globally, and they need an easy way to do this from one location. With Customer Relationship Management (CRM) systems like Salesforce, HubSpot, Pipedrive and Microsoft, companies can interact with current and future customers, prospects, employees, and more. But how do they work exactly? And what does the lead conversion process in a given CRM look like? Let’s explore how you can use them to prospect, nurture, and close more deals. CRMs come in all shapes and sizes and can be great additions to your business. 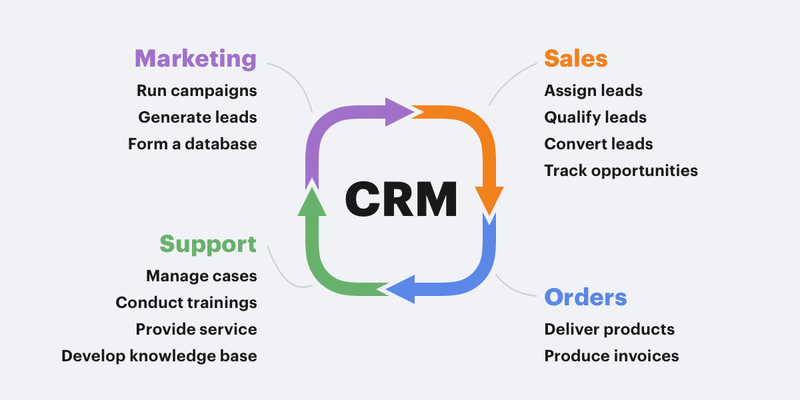 A CRM is a customer relationship management system designed to understand your customers, their specific needs, and help you to deliver upon their wants. 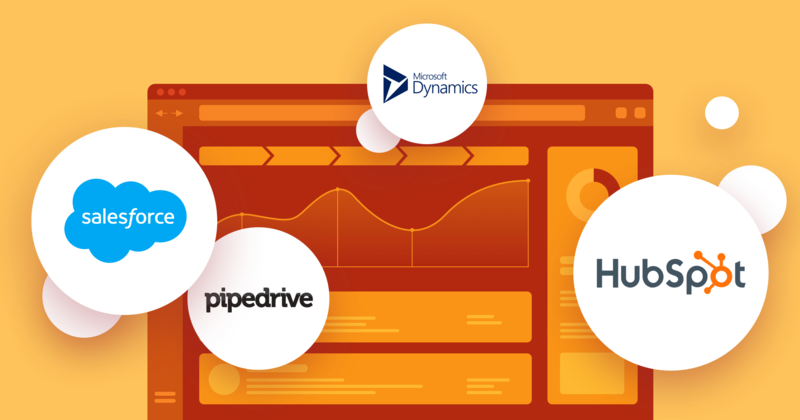 Some of the most popular CRMs include Salesforce, HubSpot, Microsoft Dynamics, and Pipedrive. Microsoft’s Dynamics 365 CRM offers deep integrations with other Microsoft tech and powerful automation. 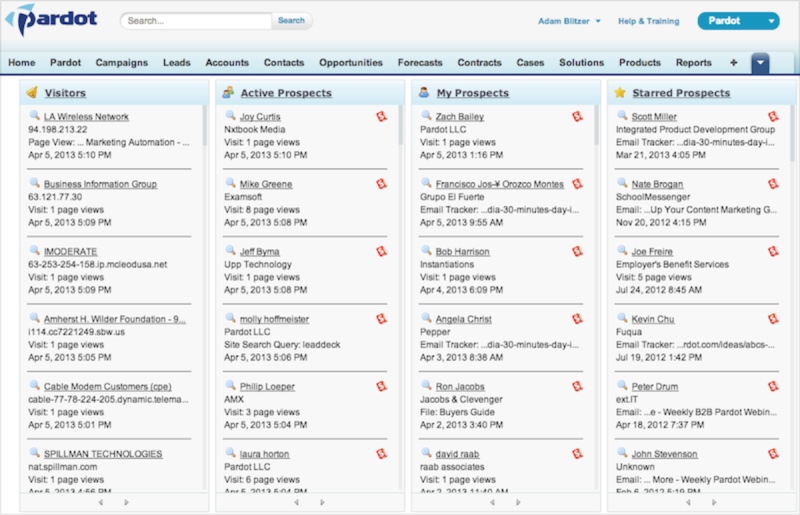 Salesforce is a CRM application that was built on the Force.com platform. But unlike many CRM tools, it has a bit more depth and confusion to it. If you asked a sales rep to explain Salesforce in depth, they’d likely struggle. 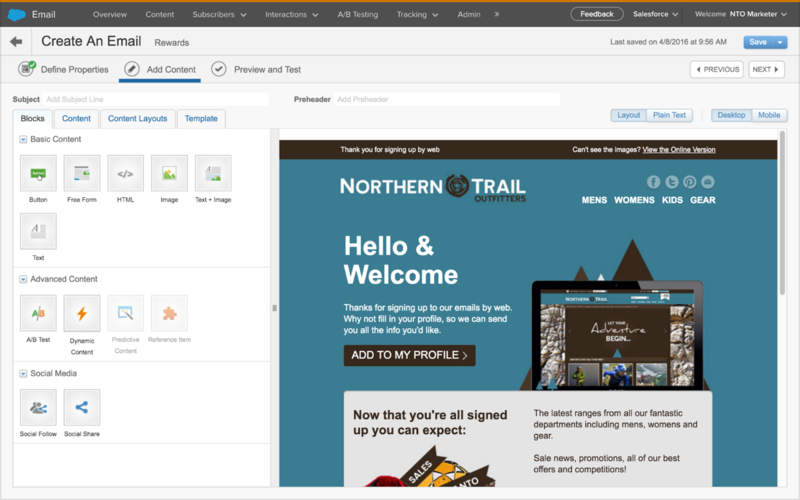 Using Salesforce, you can manage every customer interaction. 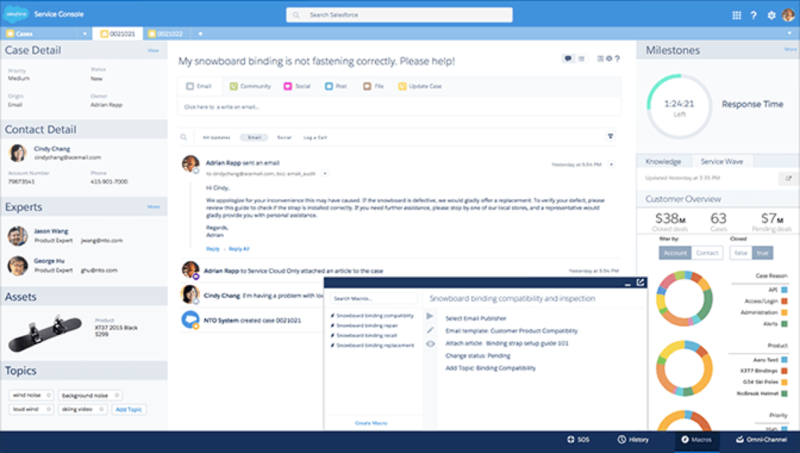 The tool can help you organize phone calls, site email, social media, communities, and so much more. By focusing on providing extra support for sales and marketing teams, customer relationships can be improved tremendously. CRM systems can track and predict sales, manage contact information and accounts, and so much more – all from one place. Out of every CRM system, Salesforce is considered to be the top one in the industry. Since all of your information is stored in the cloud, every member of your team can see ongoing projects, reporting and analytics, and more no matter their location. Your employees can work from anywhere they can access the internet, on any device. That means there’s no software or hardware to install. Everything is online. Because of this, there are no maintenance or setup costs. And, since Salesforce offers 3 free upgrades each year, it’s perfect for both large and small businesses. Nearly anyone can benefit from using Salesforce, or any given CRM. But, Salesforce, in particular, is more than one product. It’s an integrated platform that manages every business interaction, made with your company’s success and growth in mind. 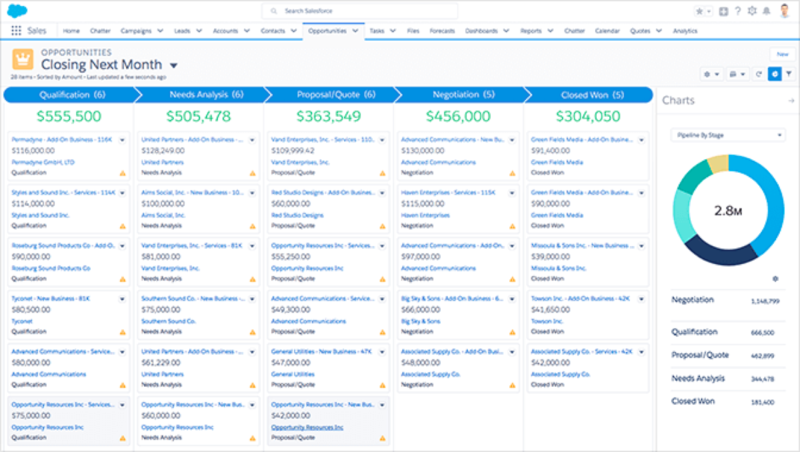 Salesforce helps you build, maintain, and grow relationships with a variety of management tools. Now that you have more background on Salesforce and CRMs let’s look at how to use them to close more sales. The Sales Cloud is the best solution for automating sales out there. You can find customers, grow existing accounts, and close deals fast with this tool. 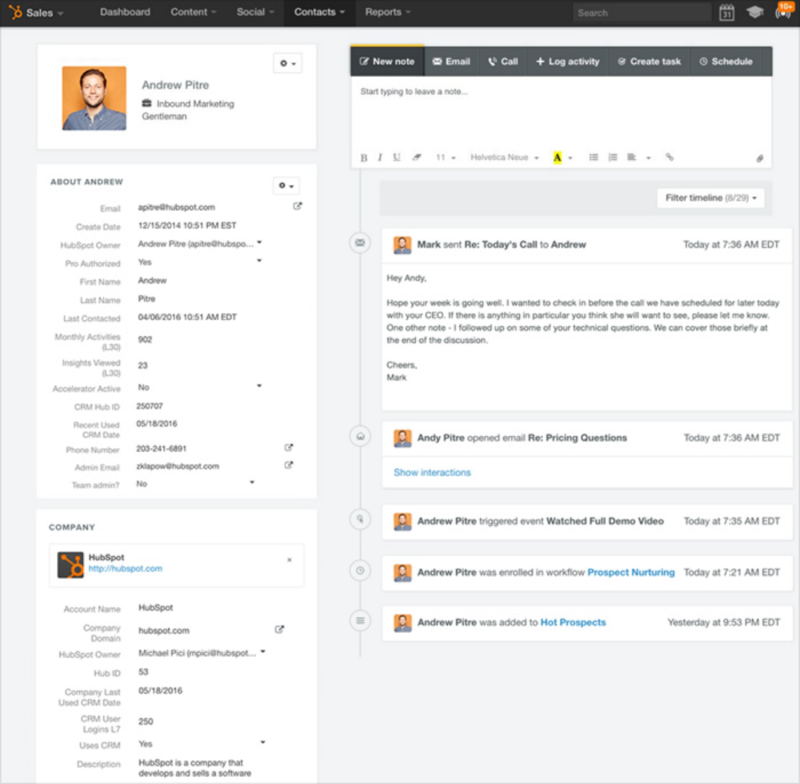 Sales reps can use artificial intelligence and automation to their advantage and take CRM customer data to the next level with Sales Cloud Einstein. Sales Cloud Einstein is an advanced form of AI that can help you understand why you’re losing or winning customers. That way, you can plan your next steps more quickly and close more deals in a shorter amount of time. You can track every customer from one place, no matter your location. In-line intelligence and best practices offer insight that would take months for you and your team to collect. Whether your sales reps are working from the field or their email inbox, they can capture data in real time. 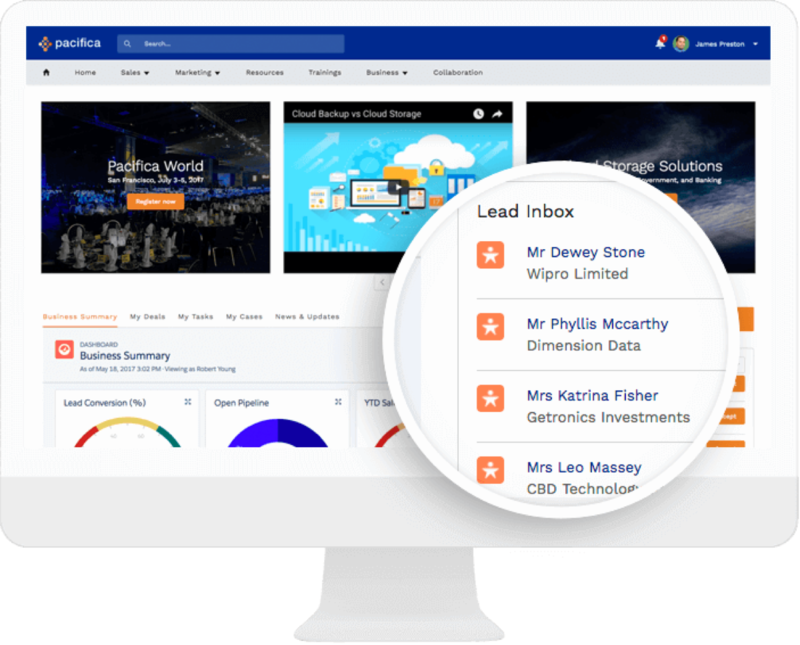 Whether you’re using a laptop, phone, iPad, or any other device, the Sales Cloud will show the same live data feeds to all of your sales representatives. This means significant time saving for prospecting and nurturing leads because you’ll have customized insights into what makes them buy…and what to avoid that makes them flee. Once your leads are ready to convert, you’ll be able to automatically engage with them and send them on to the buying process. No more questioning if your marketing campaigns are actually working. Cloud-based case management, customer service, and support mean that you can deal with your leads more quickly and efficiently. This integrated ticketing system can help you close your cases more quickly with automation and AI. Your support agents can help customers faster because every tool will be at their disposal. 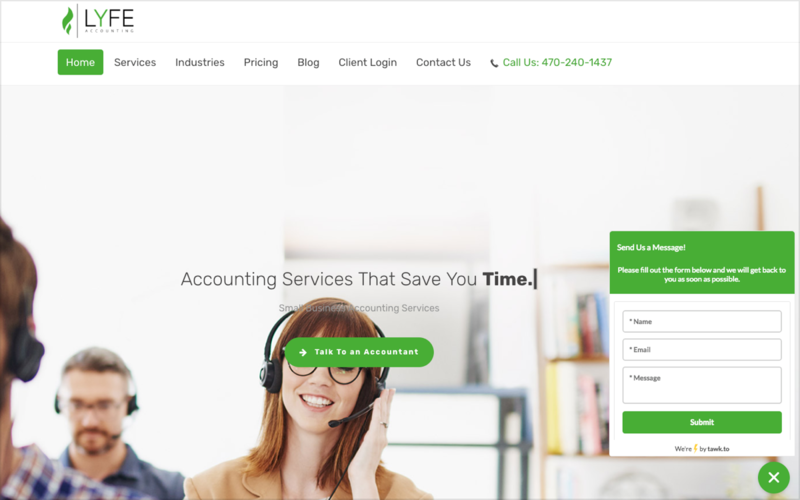 Other CRM solutions like HubSpot and Pipedrive also offer this service. 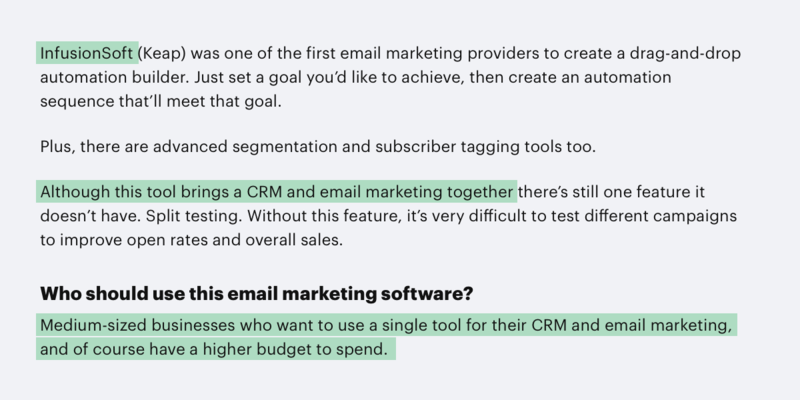 It works by connecting all touchpoints where you engage with leads and customers –– for example, depending on what email marketing service you use, you can integrate directly to your CRM and manage it from there. You can also personalize the customer care process like never before with The Service Cloud, as well as predict customers’ needs. Live messaging, behavioral insights, and more make this possible. You can also drive customers right from the call center to the field by providing intelligent service that isn’t going to waste their time (or yours) which is what we all want, right? 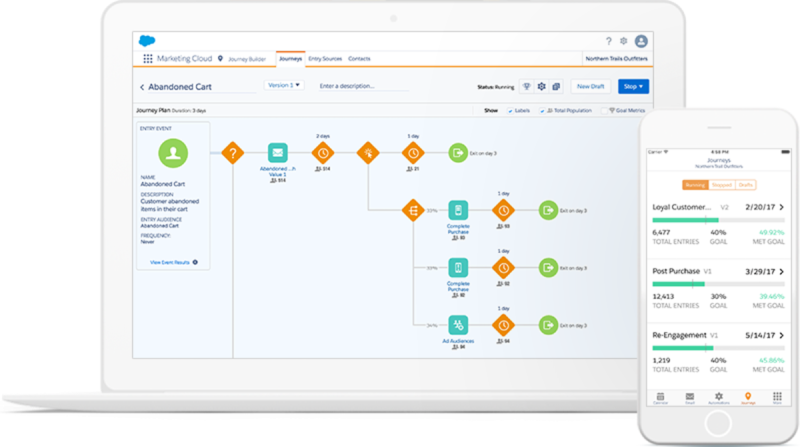 Here’s how you can use Salesforce across the entire buying journey with The Marketing Cloud. Cross-channel marketing campaigns don’t have to be difficult. And personalizing email, mobile, web, or social ads don’t have to be time-consuming. 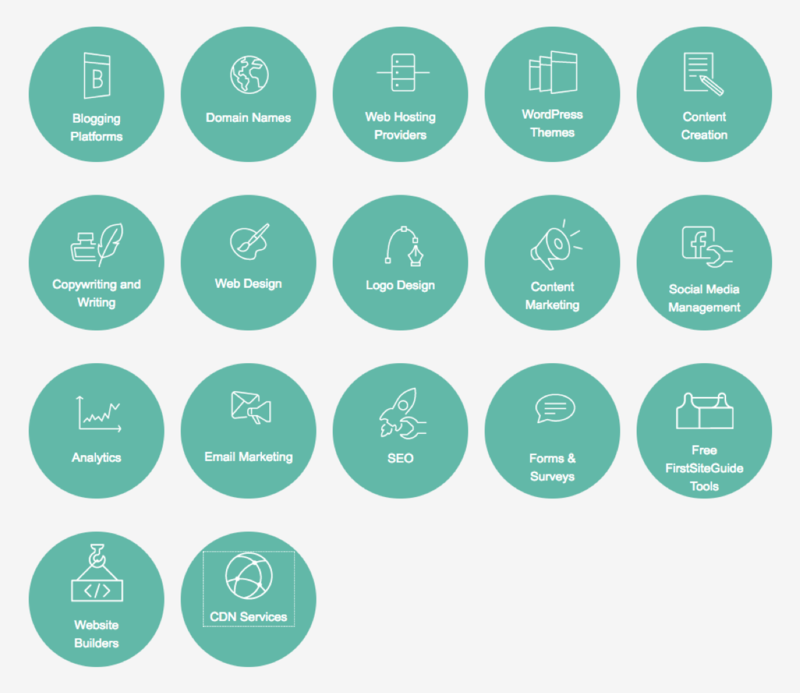 Here’s a quick look at each of the tools that make up The Marketing Cloud. 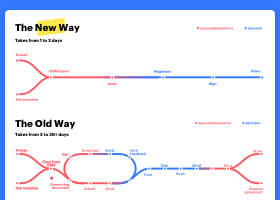 Build individual customer journeys across multiple channels. Connect marketing across sales, service, commerce, and every other customer touchpoint. Connect marketing and sales in one place to automate B2B marketing. You can also integrate other connections with Pardot, such as import LinkedIn contacts to Salesforce. Use lead nurturing to form high-quality leads and stock up on them. Then, maximize your outreach efforts with advanced analytics. Use data from CRM data or web analytics to create personalized email campaigns, perfect for any stage of the customer journey. Engage with customers on all of your social media platforms, listen to them, and publish content targeted to them. 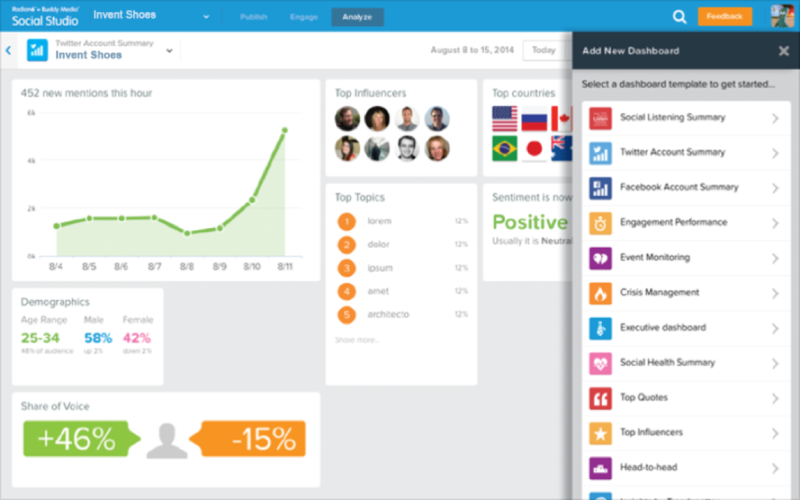 Using CRM data, you can analyze what your leads are interested in. And with four million pieces of content published daily, it’s more important than ever to sift through the noise and deliver personalized content. Line up your social marketing efforts with customers service and sales. Create effective digital advertisements to dominate acquisition, re-engagement, and alignment. 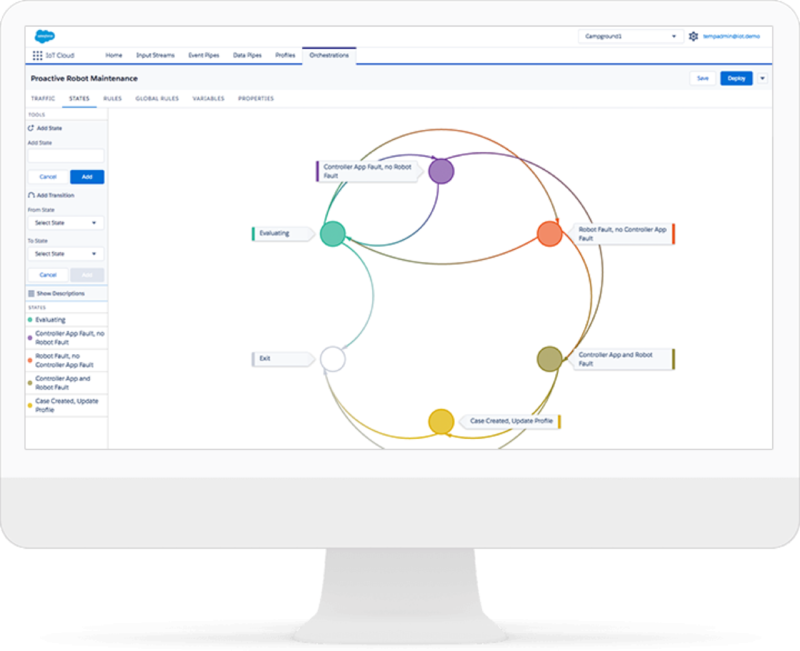 Now, let’s take a look at how to use Salesforce analytics to predict problems and solve them before they become an issue. The Analytics Cloud comes packed with business intelligence software that allows you to explore your data and predict problems so that you can stop them in their tracks. See all of your data, both internal and external, with pre-built apps, Salesforce reports, and dashboards. 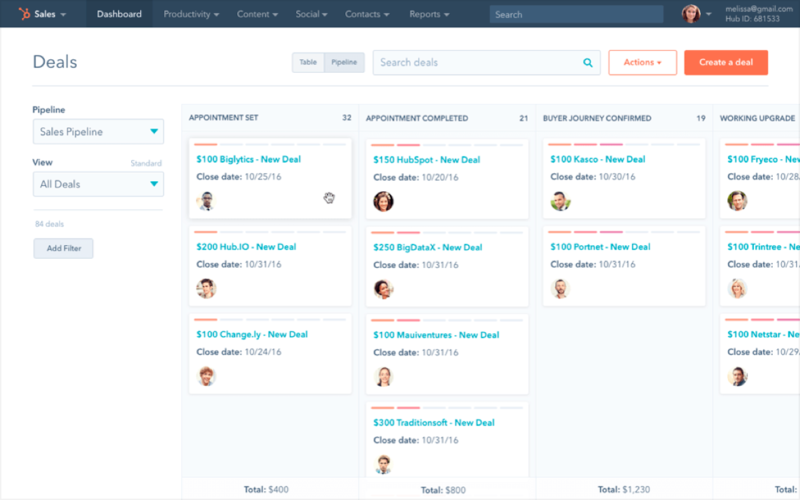 Then, once you find an answer, assign a sales task, close a service case, and more within those dashboards. You can connect analytics to your Sales and Service Clouds, too, which allows you to explore across clouds and spot trends or visualize your KPIs. The Analytics Cloud is powered by Einstein Analytics, which is optimized for mobile, so all of your team members can view data from any device. Einstein Data Discovery also allows you to get AI-powered answers, explanations, and recommendations to solve nearly every issue imaginable. Plus, AI will analyze all of your data combinations quickly so you know what is happening, why it happened, and what will happen in the future. 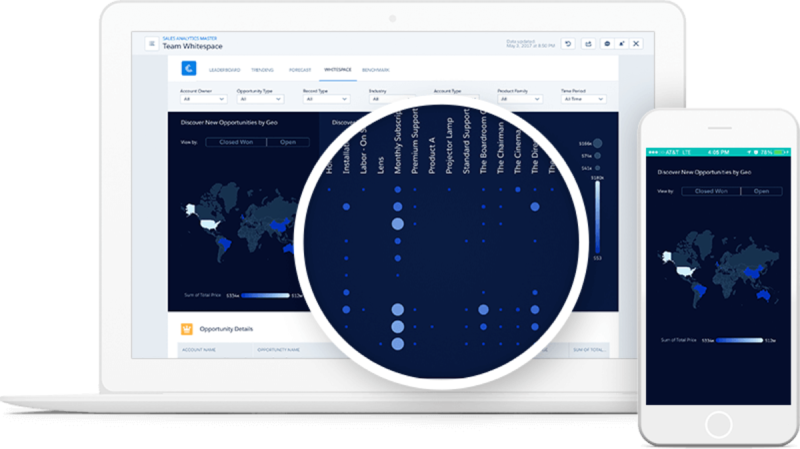 The Einstein Analytics products suite includes 19 partners with analytics apps for every industry so you can customize your app to your business. Now, let’s go over The Community Cloud. Self-service communities are the key to helping customers, partners, and employees alike find answers and information that they need. If you want to change the way you’re engaging with partners, customers, and employees, you’ve got to change your approach. With The Community Cloud, you can create communities that fit your needs so that people can connect and collaborate. Everyone who is critical to your business can have access to communities, too, whether they are customers, suppliers, job applicants, employees, and more. This takes customer service to the next level, too, because customers can help each other (and themselves). Customers can connect and build relationships while your service agents hone in on the more complex issues of the business. Plus, since communities allow customers to interact with one another, this gives them a place to share feedback, excitement about your company or a product, or even make purchases. Partner Communities connect resellers, partners, and distributors to boost sales in the same way. They can find information or experts, register new leads, update records, manage finances, and more. This all adds up to more deals closed more quickly. You’ll also ensure that employees are engaged and productive with Employee Communities that allow them to collaborate and find the information they need. 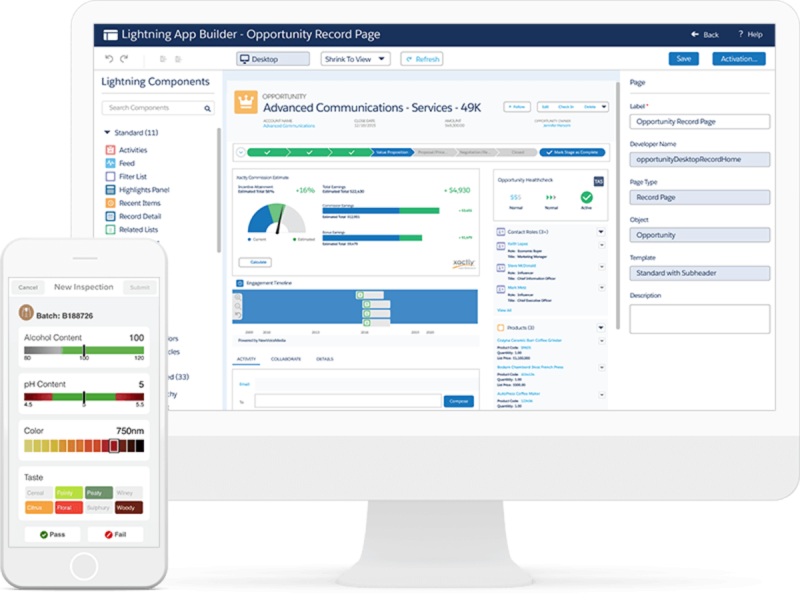 Salesforce can even help you with app development, too. If you need a cloud application development platform, Salesforce provides that, too. Build applications based on your customers with AI-powered apps that improve customer experiences even more. This feature lets you take all of your Salesforce data and create customized apps and workflows built in with sales dashboards, service workflows, and more. That way, you can genuinely extend your customer relationship management efforts. With the Salesforce platform, you can also transform IT. They can focus on innovating your brand rather than running maintenance on your applications because Salesforce maintains them for you. You can also create apps in any language that your developers want to increase your global reach. Plus, when you thought it couldn’t get any better, The Salesforce Platform also allows you to build AI-powered employee apps to automate business processes and give every employee customer insights to close deals quicker than ever before. Here’s how you can use the IoT cloud to harness the power of internet data. Multi-channel and omnichannel marketing is critical in today’s diverse internet of things. People browse countless devices and platforms, engaging with your business at potentially dozens of touchpoints. This means managing those interactions is going to require a ton of work unless you’ve got a CRM that can help you. CRM platforms can help you save time by gathering and analyzing data from each channel that your business is present on, congregating data into the sales funnel. With tools like this, you can test business ideas without being a programmer. Just build, test, and change with a series of clicks rather than code. And, you’ll be able to get a complete picture of product usage and performance. Plus, you’ll see real-time interactions by developing meaningful customer experiences across each channel. CRMs help pull an entire profile of your customers and leads to allow for more personalized engagement, better relationships, and more sales. CRMs lets you connect every area of customer relationships, from marketing to service. And you’ll never question what’s going on in any area thanks to the reports and dashboards that come standard with a good CRM. Using tools like The Sales Cloud from Salesforce or HubSpot’s enriched contacts, you can improve customer service efforts and sell with efficiency and data. CRMs help you map the customer journey and provide better nurturing along the way, too. 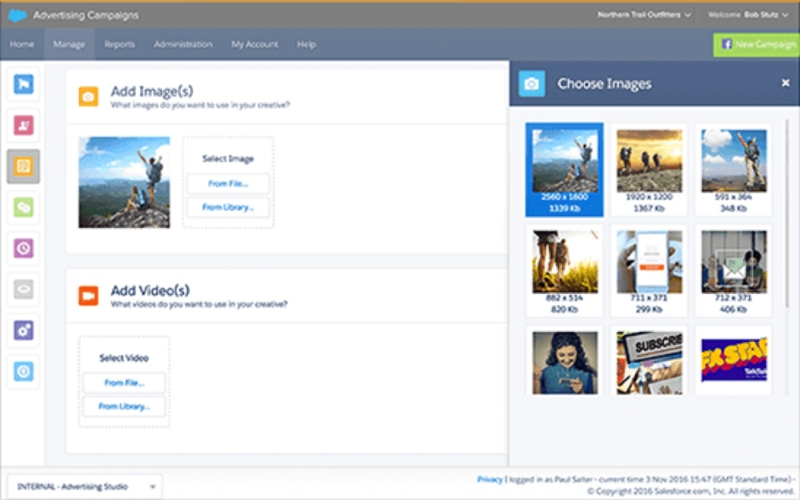 On Salesforce, you can use The Community Cloud to connect customers, partners, and employers, and maximize customer satisfaction by using the IoT cloud. Any organization looking to manage customer relationships more effectively can use a CRM and maximize all of their business efforts without wasting time or money developing software or hardware. Just pick the CRM software that works best for you and your business, and you’ll be closing more deals in no time. Adam is a content marketing and SEO consultant and manages partnerships at BigCommerce with 10+ years of digital marketing. He lives in Austin, TX and writes about how to make money online and blog like a CEO at adamenfroy.com.